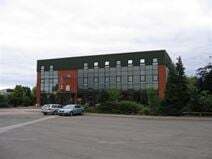 Conveniently located within a renowned business park in Stafford, this building enjoys easy connections to the motorway and to the town centre. The building offers office spaces of various size which benefit from a number of facilities, including 24/7 access, kitchen, reception area and a qualified staff to support your business in your daily activities. They are available at flexible rental terms and at a very convenient price. Superior office spaces are available, ideal for small or medium businesses, on short term leases. The site's location gives access to both Stafford and the M6. Stafford Railway Station provides services to London Euston and the North West via the West Coast Mainline. The space offers CCTV, 24-hour access, a board room, meeting room facilities, bike racks, on-site parking, and spaces are available on flexible terms. Fully furnished offices are available in Staffordshire Technology Park. Rental is inclusive of rates and utilities and the centre also provides meeting room access and on-site parking. The location is just 3 miles from Stafford town centre and easily accessible by local roads and bus routes. This Stafford-based centre offers a practical and efficient space. The centre boasts central heating, double glazing, an open plan layout, shower and WC facilities. There is also on-site parking available for those that drive. The centre is close to Stafford's town centre - perfect for a lunchtime visit - and is also only five minutes drive to Stafford's railway station. Stafford station provides access to Manchester, Liverpool and Birmingham within an hour's journey. This Stafford town centre is baseed within a prominent three storey building in the heart of the town, with easy access to the abundance of retail options and cultural attractions. The centre offers an all inclusive rate which encompasses rent, rates, utilities and service charges. There are a number of units available, making it an exciting proposition. Cycling facilities are also available, and road links are good. Modern office space is available on flexible terms, including short leases, close to Stafford town centre. These excellent offices are serviced and supported by on-site secretarial staff. Shops and public transport are easily accessible, as is the M6. High quality office space is offered on short or long leases in this fantastic business environment 2 miles from the centre of Stafford. The offices vary in size and include options for storage space. There is a reception on-site as well as parking, and the M6 is within easy reach. 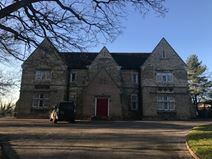 Based just outside of Stafford, this centre is housed within an impressive period building with a distinctive architectural style. The centre offers a professional space with centrally heated suites that are carpeted, boast CAT II lighting and has kitchen facilities, meeting room facilities and high speed internet. Stafford town centre is close by, and the town's station - a 20-minute walk - offers direct access to a multitude of cities including London and Birmingham.